I thought it might be insightful to share how some of my bespoke creations are made, and the process involved in actualising a client’s vision by executing my skills and existing designs. 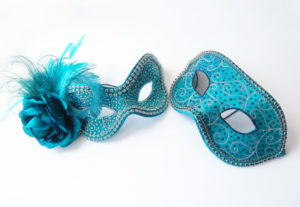 Today I am going to discuss how the tartan masks came into creation. 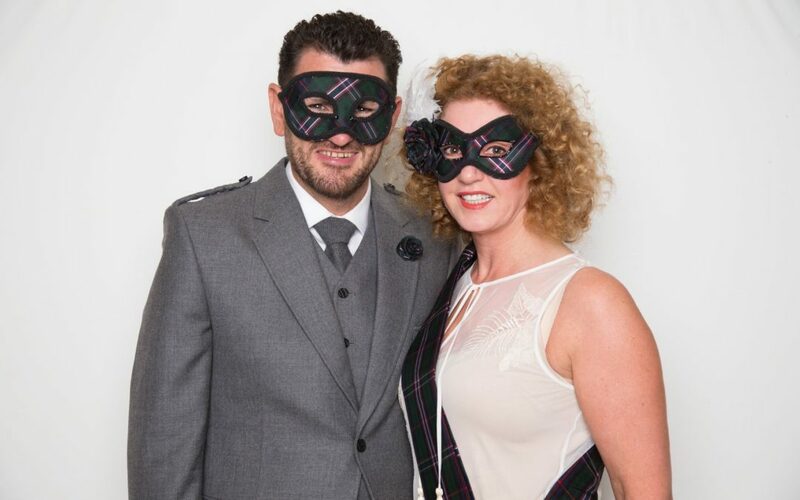 I had an enquiry about my His and Her’s Mask set and was asked if it could be made in Scottish National tartan, the prospective customer Faye, explained to me she would be attending a masquerade ball with her husband and sent me a photograph of her husband’s kilt (which their cute dog had photo bombed). My first job was to source the specific tartan before I could agree to make it, a little hunting around and I was successful at finding the tartan in a silk dupion, I explained to Faye it is a made to order fabric which is quite expensive and if she is happy the purchase her required material then I would be happy to create the set of masks for her in her chosen fabric. 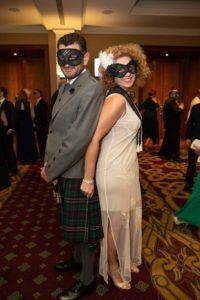 At this point she further enquired if it would be possible to make her a silk stole or long sash to match and wear over a white gown, I agreed and ordered in her tartan. 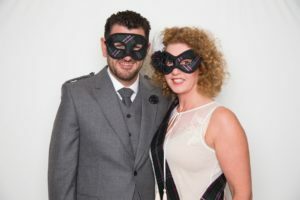 Whilst I was waiting for the material to arrive, Faye had also sent me a picture of her white gown which had 3 types of embroidered feathers embellished into the fabric, she asked if I could match the feathers on her dress on to that of the embellishments of her bespoke mask. 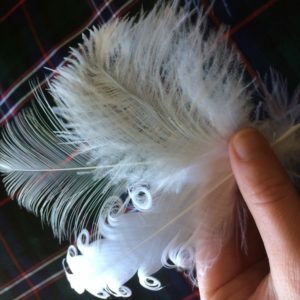 I was able to source two of the feather types through my regular millinery suppliers and the other I found on Etsy (Etsy really does have a treasure trove of unique things). I opted for curly goose feathers, burnt ostrich and miniature ostrich feathers. After finalising everything with the client, back and forth with materials, photographs and designs it was time to make.